From Suda51 himself, Travis Strikes Again should not to be confused with “No More Heroes 3”, but that’s not to say a third chapter isn’t a possibility. The wishes of many Grasshopper Manufacture fans were finally answered last week when Nintendo unveiled Travis Strikes Again: No More Heroes, a brand new adventure featuring the warped otaku assassin, Travis Touchdown. Gameplay and game structure have yet to be detailed, but Grasshopper’s “Suda51” Goichi Suda has been offering a trickle of information through various interviews since Nintendo’s Summer 2017 Showcase and the following Nindies@Night presentation. 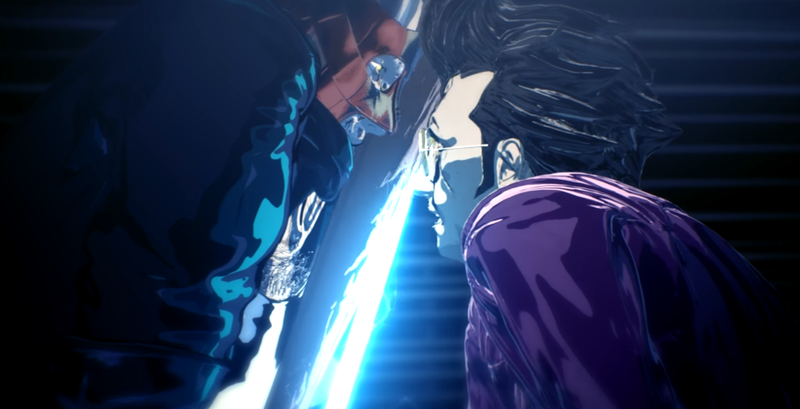 Grasshopper’s original explanation states Travis Strikes Again is set one year after the events of No More Heroes, but Suda51 also claimed that the upcoming Switch-exclusive takes place seven years after No More Heroes 2. Suda reiterated numerous times that Travis Strikes Again is not a direct sequel- the fabled “No More Heroes 3”- but a later adventure that fills the gap in Travis’s post-United Assassins Association life, and addresses the void between No More Heroes and No More Heroes 2: Desperate Struggle; the debut trailer sees Travis confronted by the father of “Bad Girl”, the second-ranked Assassin of No More Heroes, just before the two are yanked into the “Death Drive MK-II” gaming console. Travis Strikes Again: No More Heroes is expected to release exclusively for the Nintendo Switch sometime in 2018. For the purists still wishing for No More Heroes 3, in the interview with VideoGameChooChoo, Suda believes a proper third chapter is absolutely possible if Travis Strikes Again succeeds with fans and consumers.